The country is in collapse, brought to its knees by an apocalyptic plague distributed via bank notes on Black Friday. New York lies dreary and devastated. Everyone--well everyone who's left--is a ravenous threat. The only chance for salvation lies in the agents of The Division, a government agency secretly set up to survive in such bleak circumstances. 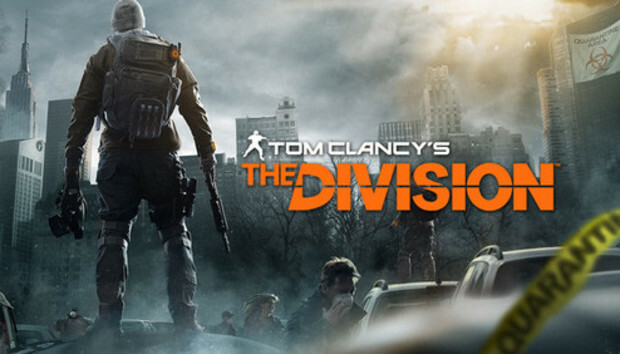 That dark backstory is the premise behind Ubisoft's awesome looking (but horribly named) "Tom Clancy's The Division," unveiled at the company's E3 press conference on Monday. Dubbed as an open-world RPG, the gameplay itself appears to lean more closely towards tactical third-person shooting, bringing a post-apocalyptic vibe that mixes Gears of War gunfire, inventory, and skill management, with an almost Watch_Dogs-esque feel. Ubisoft showed a quick demo of three survivalists exploring the ruined streets of New York, scrounging items and discovering new locations en route to a besieged police station. Upon reaching the station, the trio used grenades in their inventory and a heavy dose of suppressing cross-fire to clear the building of computer-controlled miscreants. Their reward: Food, water, access to new map assets, and directions to the police armory. Post-apocalyptic gold, in other words. Exiting the building, the squad was confronted by another group of players--everyone is a threat, remember--before fading to black. Co-op and competitive gameplay, you ask? Indeed--and you can check it out for yourself in the trailer above. Ubisoft closed out its E3 press event with The Division, and it definitely saved the best for last. This Tom Clancy title left me drooling for more and chock full of questions. Here's hoping some of those are answered during E3 this week, as The Division isn't slated to launch until sometime in 2014, when it will grace both the Xbox One and Sony's PlayStation 4 console.